This is the whimsical tale of the 3 witches of Lancre, Discworld. With the old king murdered, the witches cross paths with the heir, who they safely hide away with a team of travelling actors. The witches, who are not meddling in political affairs, use a touch of magic to turf the new and cruel king and place a king who cares about the kingdom back on the throne. This book was quite a treat. 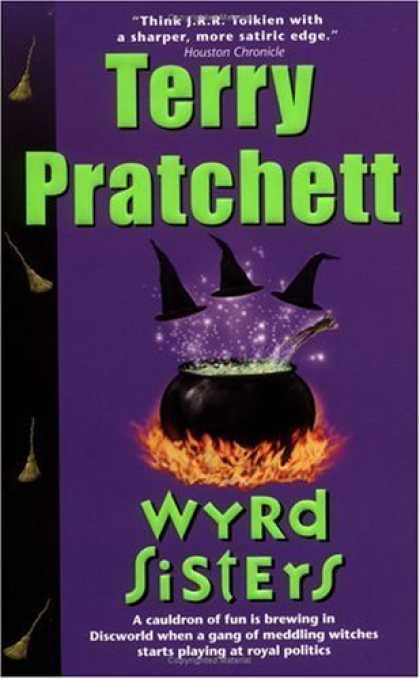 I had wanted to read something by Terry Pratchett from sometime. So, after receiving a recommendation for the Wyrd Sisters, I got my hands on it before too long and dove in without hesitation. I would say that Terry Pratchett is completely brilliant. Throughout the novel, I couldn't help but wonder about the author and the mind that could dream all this up, not to mention to also write it interestingly and with a healthy dose of wit. The novel drew on some common images and stereotypes, but managed to create a completely unique picture and plot. The novel had me laughing out loud quite regularly. (I'm pretty sure my fellow commuters think I've lost my marbles). The wit used in the novel was incredibly creative and intelligent. I'm sure I missed a number of nuances into English culture, but was certainly able to understand and enjoy a good number of them. All in all, I thoroughly enjoyed the book. It was a great book for enjoyment and relaxation. I would certainly pick up another Terry Pratchett novel (particularly his ones on Death) for the wit and creativity. Terry Pratchett was born in 1948 in Buckinghamshire, England. He published his first story in his school magazine at the age of 13. They story was published commercially when he was 15. He left school at age 17 and went on to work for the Bucks Free Press, where he worked as a journalist, but also published a number of short stories. In 1971, he published The Carpet People, which has been considered his breakthrough novel. 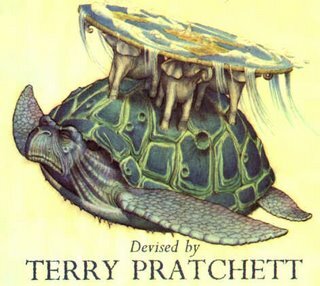 The first of his Discworld novels was published in 1983. He was married in 1968 and has a daughter. In 1998 he was appointed to the position of Officer of the Order of the British Empire for services in literature. 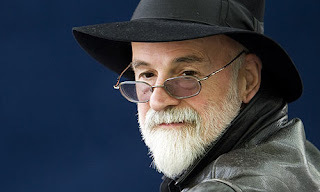 In 2007, Terry Pratchett was diagnosed with early-onset Alzheimer's disease. He has become active in fund raising for Alzheimer's research and awareness, even participating in a 2008 documentary by the BBC on the disease. He has also participated in discussions on assisted suicide, claiming that he would like to end his life before his disease reaches a critical point. Despite his illness, he continues to write novels by dictating to his assistant. He was knighted in 2009. He currently lives in England with his wife. 1. The witches. 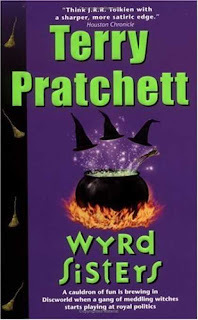 Nanny Ogg, Magrat, and Granny Weatherwax were terrifying, hilarious, and ingenious. Absolutely fantastic. 2. The plot. I enjoyed throwing myself in. It perfectly balanced fantasy and reality for me. 3. The wit. It was pure enjoyment. You'll just have to read it and enjoy it for yourself.